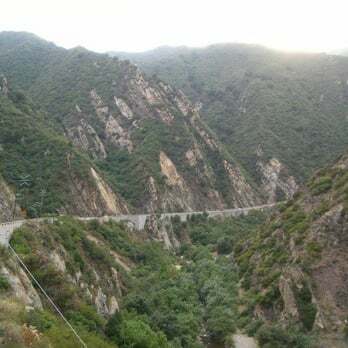 A 25-year-old man drove 150 feet off of Malibu Canyon Road on January 20..
MALIBU—Around 7:00 p.m. on Sunday, January 20, a man drove 150 feet off of Malibu Canyon Road. The 25-year-old male suffered minor injuries in what is suspected to be an alcohol related incident. Malibu Canyon Road is a narrow, winding road, which has been the location of a number of accidents in previous years. The Malibu/Lost Hills Sheriff’s Department, the California Highway Patrol, and the Malibu Search and Rescue are the top three responders to incidents along this stretch of road. For Malibu Canyon Road, the California Highway Patrol responds to everything on Malibu Canyon Road until the road meets with Mulholland Highway. Everything past Mulholland Highway on Malibu Canyon Road falls under the jurisdiction of the Malibu/Lost Hills Sheriff’s Department. For any emergencies along Malibu Canyon Road, dial 9-1-1. The dispatcher will notify the appropriate authorities including the Malibu Search & Rescue Team when needed, in addition to other authorities as needed. Stay up to date with all rescues and information by following the Malibu Search and Rescue Twitter and Facebook pages.